Throughout my profession, I’ve always focused on the specialized needs of the private client industry. 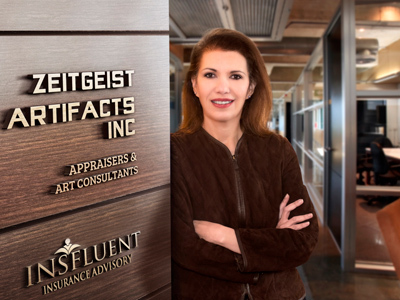 As an insurance professional with 30+ years of high value risk experience, a seasoned art consultant and an accredited art appraiser, I am uniquely qualified to navigate the complexities of protecting your family, assets and activities. Our staff associates are equally experienced in private client services. Since 1999, our group of companies has reflected excellence, discretion and utmost professionalism demanded of our discerning clientele. Find out why our satisfied customers have benefited from the “Insfluent difference”!